For from the least of them even unto the greatest of them everyone is given to covetousness;and from the prophet even unto the priest everyone dealeth falsely.They have healed also the hurt of the daughter of my people slightly, saying, Peace, peace; when there there is no peace.Were they ashamed when they had committed abomination ? nay, they were not at all ashamed,neither could they blush:therefore they shall fall among them that fall : at the time that I visit them they shall be cast down, sayeth the LORD.Thus sayeth the LORD,Stand ye in the ways,(crossroads)and see,and ask for the old paths,where is the good way,and walk therein,and ye shall find rest for your souls.But they said,we well not walk therein.Also I set watchmen over you,saying,hearken to the sound of the trumpet,but they said,we well not hearken.Therefore hear,ye nations,and know,O congregation,what is among them.Hear ,O earth:behold,I will bring evil upon this people,even the fruit of their thoughts,because they have not hearkened unto my words,nor to my law,but rejected it. Jeremiah 6:13-19. Our vision is to see the church fulfill its original calling.We believe that when the church has fallen away from what it was intended to do,then judgment will come upon the world. There are many good God fearing churches.However, many have fallen away from God even as the scripture warns us.We believe that America,along with the rest of the world are standing at the crossroads.We know that we cannot change the world, but we can be a voice that cries out from the wilderness:REPENT FOR THE KINGDOM OF HEAVEN IS AT HAND.We believe that without a revival our nation will quickly decline. Therefore we preach, warning every man to present himself holy and right before God. It is our vision to see a Holy Ghost revival sweep over the churches.There are many "so called revivals." But unless it produces holiness,righteousness,and repentance, it is not a real revival. Our hope is to wake up Gods people to turn back to holiness.We must go back to the OLD PATHS.This is the old proven road that saints have marched down for centuries. Dear saints, let us examine these scriptures. When do the dead in Christ rise ? Marvel not at this: for the hour is coming, in the which all that are in the graves shall hear his voice, And shall come forth; they that have done good, unto the resurrection of life; and they that have done evil, unto the resurrection of damnation. Jn. 5:28,29 Here we have two resurrections. Rev. 20:4-6 And I saw thrones, and they sat upon them, and judgement was given unto them : and I saw the souls of them that were beheaded for the witness of Jesus, and for the word of God, and which had not worshipped the beast, neither his image, neither had received his mark upon their foreheads, or in their hands; and they lived and reigned with Christ a thousand years. But the rest of the dead lived not again until the thousand years were finished. This is the first resurrection. Blessed and holy is he that hath part in the first resurrection: on such the second death hath no power, but they shall be priests of God and of Christ, and shall reign with him a thousand years. The first resurrection means just that; the 1st. numerically. Words do have meaning. It is strange that after the supposed pre-trib rapture there are multitudes saved. Why did they not believe before the rapture? Let's take a good look at this. In 2Thes.1 the saints are being persecuted. Paul writes unto them telling them that through much tribulation they must enter the kingdom of God. Seeing it is a righteous thing with God to recompense tribulation to them that trouble you; And to you who are troubled rest with us, when the Lord Jesus shall be revealed from heaven with his mighty angles, In flaming fire taking vengeance on them that know not God, and that obey not the gospel of our Lord Jesus Christ; Who shall be punished with everlasting destruction from the presence of the Lord, and from the glory of his power; When he shall be glorified in his saints, and to be admired in all them that believe( because our testimony among you was believed) in that day. This could only be the 2nd coming. Let no man deceive you by any means: for that day [ 2Thes.2:3 ] shall not come, except there come a falling away 1st..... What day is this ? ... the coming of our Lord Jesus Christ, and by our gathering together unto him...[ 2Thes2:1 ] When? And to you who are troubled rest with us, ( Paul includes himself ) when the Lord Jesus shall be revealed from heaven with his mighty angels, In flaming fire taking vengeance on them that know not God, and obey not the gospel of our Lord Jesus Christ:.... When he shall come to be glorified in his saints... ( because our testimony among you was believed in that day.) 2 Thes.1:7-10. Dispensational Theology The culprit behind much of the confusion in reading the Bible is wrongly dividing the word of God. By setting up unnatural dispensational ages, much harm has been done to God's word . The law was dispensed by Moses, grace dispensed by the Apostle Paul. This is true. However, when did LAW end and GRACE begin? Does GRACE end at the coming of Christ to set up the KINGDOM ? There are different schools of thought. The Scholfield Bible did much to popularize DISPENSATIONALISM. From about the 4th century till around the mid 1850's the 1,000 yr. KINGDOM reign of Christ was thought to be symbolic. Then a man named John Darby of the Plymouth Brethren brought back the literal interpretation of the KINGDOM. Along with this came another supposed truth , the PRE-TRIBULATION RAPTURE. Why does the recovery of one truth facilitate the need of the other ? This is where FALSE DISPENSATIONAL DOCTRINE DESTROYS the true meaning of God's word. Israel is taught to be another entity than the BODY OF CHRIST i.e. the CHURCH OF TODAY. The twain are separated by a great gulf called "WRONGLY DIVIDING THE WORD OF GOD". For those of you who have been indoctrinated to this type of thinking there is still hope. I also was indoctrinated into a hyper dispensational theology for about 15 years. As I gradually saw the flaws it drove me to the scriptures. I called on the Lord for help and He didn't let me down. 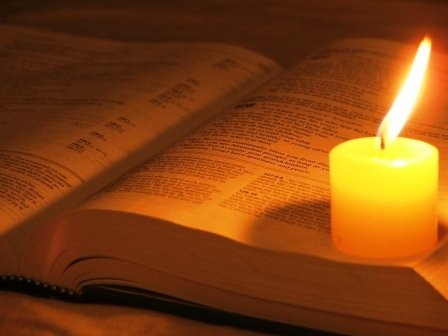 We must believe God's word to let the Holy Ghost illuminate our minds. Man made doctrines will not stand to the real intent of God's word. So let us go to the word of God. The New Covenant that the Body of Christ is under is Israel's New Covenant.This is important. The Lord Jesus is the sacrifice for whosoever. In Romans 11 there is only one (1) olive tree. The olive tree is Israel; the branches of Israel symbolize the 12 tribes. We Gentiles as a wild olive tree are grafted in. How did we get in? because of their unbelief Israel was broken off so the gospel went out to the Gentiles. For I would not, brethren, that you should be ignorant of this mystery,... that blindness in part is happened to Israel, until the fulness of the Gentiles be come in. Please get this dear saints. When the Lord Jesus Christ abolished the law by fulling it he reconciled all the saved from Adam to the last day. This is why there is no resurrection before the 1st resurrection. Rev.20. There is not 2 distinct bodies of believers, only one. This is the problem; today's theology teaches that this new creation, the body of Christ is raptured out so Israel's kingdom can come in. Now let us think ! I would like to put some HOLY GHOST COMMON SENSE TO THE THINGS WRITTEN SO FAR. The Lord is not the author of confusion. If there is a pre-tribulation rapture, why is it not clearly set forth? For instance; You will not be here because there is a resurrection for the church before the great tribulation. Instead everything written can be applied to the 2nd coming. In Rev.4:1; John could say that a resurrection took place. Instead he says that a door was opened and he was caught up to heaven. Paul had the same experience in 2 Cor.12. Did the church get raptured ? Revelation starts with the 7 churches, if we have vanished, why then at the end of the letter the Lord says he sent his angel to testify these things unto the churches ? When you add pre- trib rapture + mammon gospel = APOSTATE CHURCH. Saints, this is serious. please consider the implications. Have you applied for your Exemption ? Hurry up, you might be left behind ! Much has been made about missing the rapture and being left behind. Two are in the field, rapture takes place, one left behind for judgement, the other caught up to glory. And as it was in the days of Noah, so shall it be also in the days of the Son of man.They did eat, they drank,...until the day that Noah entered into the ark, and the flood came, and destroyed them all. Likewise also as it was in the days of Lot;...But the same day that Lot went out of Sodom it rained fire and brimstone from heaven, and destroyed them all. Even thus shall it be in the day when the Son of man is revealed...and he that is in the field, let him likewise not return back. Remember Lot's wife. whosoever shall seek to save his life shall lose it; and whosoever shall lose his life shall preserve it...Two men shall be in the field; the one shall be taken the other left. And they answered and said unto him, Where, Lord ?... Wheresoever the body is thither (there) will the eagles be gathered together. Dear saints, let us examine carefully. Noah was saved from the flood, Lot from Sodom. The wrath of God came upon the inhabitants because of their rebellion. Noah escaping in the ark, Lot escaping into the mountains. Lot's wife looked back longing for her mammonized lifestyle and was turned into a pillar of salt. Many teach that these two are a type of pre-trib rapture saints, not appointed to wrath. When ye therefore shall see the abomination of desolation, spoken of by Daniel the prophet, stand in the holy place, (whoso readeth, let him understand:)Then let them which be in Judaea flee into the mountains:Let him which is on the housetop not come down to take any thing out of his house:Neither let him which is in the field return back to take his clothes.... For then shall be great tribulation, such as was not since the beginning of the world to this time, no, nor ever shall be. And except those days should be shortened, there should no flesh be saved: but for the elect's sake those days shall be shortened.... Immediately after the tribulation of those days shall the sun be darkened, and the moon shall not give her light, and the stars shall fall from heaven, and the powers of the heavens shall be shaken: And then shall appear the sign of the Son of man in heaven: and then shall all the tribes of the earth mourn, and they shall see the Son of man coming in the clouds of heaven with power and great glory. And he shall send his angels with a great sound of a trumpet, and they shall gather together his elect from the four winds, from one end of heaven to the other....But as the days of Noe were, so shall also the coming of the Son of man be. For as in the days that were before the flood they were eating and drinking, marrying and giving in marriage, until the day that Noe entered into the ark, And knew not until the flood came, and took them all away; so shall also the coming of the Son of man be. Notice in vs. 29; Immediately after the tribulation of those days: vs.31; And he shall send his angels with a great sound of a trumpet, and they shall gather together his elect from the four winds, from one end of heaven to the other. This is not written to Israel after the pre- trib rapture, this is to all of us for it is the future "great tribulation". This is what the apostle Paul writes in 1Thess.4:16-18; 1Cor.15:51,52. The problem arises when the saints don't know their appointment! Therefore beloved of the Lord whether we are alive at the time of His coming (a wake) or already dead (a sleep) , we will be resurrected. 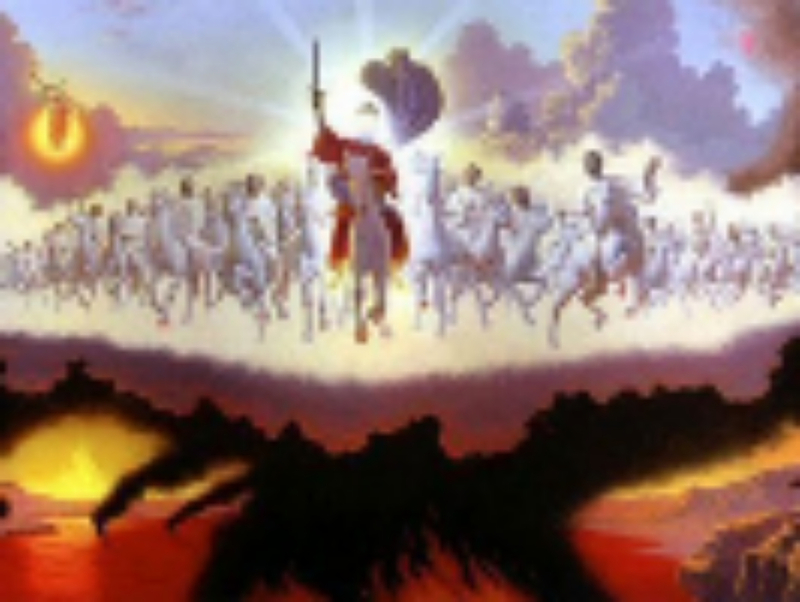 The dead in Christ rise 1st, then we which remain alive and faithful will be caught up (raptured). It makes no difference whether we are alive during the reign of the anti-christ in the great tribulation or have died. We are appointed to glory what ever time period of history we find ourselves in; FOR WE ARE THE ELECT OF GOD NOT APPOINTED UNTO WRATH! In Rev.7:3; four angels are told not to hurt the earth, sea nor trees, till we have sealed the servants of our God in their foreheads.... and there were sealed an 144,000 of all the tribes of the children of Israel.... After this I beheld,and lo, a great multitude, which no man could number, of all nations, kindreds, and people, and tongues, stood before the throne, and before the Lamb, clothed in white robes.... And one of the elders answered, saying unto me, What are these which are arrayed in white robes ? .... These are they which came out of great tribulation, and have washed their robes, and made them white in the blood of the Lamb. The Pre- trib rapture takes place. ?? 2Thess. 2:7. Then all of a sudden the left behind crowd are saved in great multitudes, they are now faithful unto death. Is this what the scripture teaches ? Dearly beloved , The church is taken out of the way by falling away from the faith : APOSTASY. Nobody went nowhere. This ushers in the man of sin ( anti-christ ). Saints are murdered , turned over by God to the beast power. Rev.13:7 . Therefore John sees them coming out of great tribulation in white robes washed in the blood of the Lamb . Our Lord receives glory when we standfast , faithful to Him even in the face of death . This is the history of the persecuted church , not flying out of here to avoid danger ! To the faithful in Christ Jesus, please take the time to watch this video it will be well worth it. I first heard this man's testimony in the 1990's. This is truly a wake up call to saints in America. How does Apostasy look What are the main ingredients in apostasy? I think that it is a frame of mind ; a DOCTRINAL STRONGHOLD. The Apostle Paul knew about this. After his conversion in Acts 9 he had some life changing decisions to make. Under house arrest in Rome Paul was offered his own TV show on the Jewish Circumcision Hour ! A book tour was set up to tour the Roman Empire, and a reality show called "The Prisoner of Jesus" where Paul appears chained to a Roman soldier in the luxury of Caesar's Palace. As Paul meditated, prayed and fasted on all these offers, the Holy Ghost took Paul to an underground location. Here the Apostle saw multitudes of saints living in the catacombs under the city of Rome. Paul asked one of the saints"What is this place, why are you living here"? The persecution against us is great. We cannot live above ground, if caught we will be forced to deny our Lord Jesus Christ. We only go above to get food, supplies and preach the gospel. Many of us have suffered tortures and martyrdom. Here we can worship freely, disciple our new brothers and sisters in Christ. Then we go up to the city to be witnesses for our Lord. The Apostle Paul was shocked. "But I was offered many great shows and money. You can't preach without money. Everything costs. Then one of the saints approached Paul "Dear brother, I perceive you are in great danger. A DOCTRINAL STRONGHOLD HAS TAKEN HOLD OF YOUR MIND. Who did you study under"? "I studied under the greatest doctor of the Law; Pharisee Moneyberger". This was the problem. The Apostle was deceived by one the leading schools of Phariseedical thought! Even though he was a leader in the church, he never denounced the old doctrine: if your blessed by God you are supposed to be rich. Then the Holy Ghost showed him all the suffering, struggles, persecutions he had already endured:....in stripes above measure, in prisons more frequent, in death's oft. Of the Jews five times received I forty stripes save one. Thrice was I beaten with rods, once I was stoned, thrice I suffered a shipwreck, a night and a day I have been in the deep; In journeyings often, in perils of water, in perils of robbers, in perils of by my own country men, in perils in the city, in perils in the wilderness, in perils in the sea , in perils among false brethren ; In weariness and painfulness, in watchings often, in hunger and thirst, in fasting often, in cold and nakedness. Beside those things that are without, that which cometh upon me daily, the care of all the churches. 2Cor.11:23-28. Also the Holy Ghost brought back to his memory all his letters to the churches admonishing them to look always to God and not to money. How the Lord always provided everything for him and his companions. Paul saw many a saint destroy their lives through covetousness. Then he remembered the sweet fellowship with the Lord Jesus in all the sufferings. Paul then fell on his face before God and the saints crying with a loud voice " Forgive me Lord, in a moment of weakness I was deceived." Confessing his sin before God and men he was instantly cleansed and given back a sound mind. The Apostle refused the TV shows and book tours. Shortly thereafter he was beheaded. The above article may be amusing, but deadly serious. Today's church is in the same danger and must cry out to the Lord in repentance. Is it possible to serve both money and God ? It is amazing to see so much deception in the minds of God's people. Everywhere we go there are machines, stores, people who are trying to separate us from our earnings. I see many scratching their lottery tickets hoping to hit it big. Even the saints are playing. One church in Chicago I visited was told to buy lottery tickets. This way if anyone won their tithes would increase. The rational was " why should the unbelievers be the only one's getting rich!" This is a very sad affair in the church. It is carnal, worldly, of the flesh. It is a stink in God's nostrils. This is an affront and shame in the church of God. While the church in many parts of the world are persecuted for their witness, we are playing God's heavenly lottery. All you have to do is sow a seed and soon you will be rich! Sowing means to plant your money into some ministry and God will bless it, multiply and sanctify it! Years ago I watched as reverend IKE expounded on this great mystery: "Give us this day our daily bread, you all know what BREAD is, it's money." I also saw him on a TV show glittering with gold. When confronted about his lifestyle when many of his sowers were on welfare, he said "it supposed to be that way." He was a true pioneer, a trail blazer in today's modern scam ; how to fleece the sheep! The cross of our Savior was not made of ease and luxury, but of grief and sorrow. How in the world do you get a lifestyle of mammon from our Lord's life or any sincere followers. It takes a lot of wrangling and twisting of scripture, mixed with some filthy lucre and much coveteousness. The worst part is many saints buy into this deception. By taking scripture out of context of God's purpose for us under grace, the prosperity crowd makes it look like worldly riches is a given. The whole focus is on what's in it for me. If I sow more , I'll get more . Some how we got the idea that God wants us 1st class. Along with this kind of thinking comes how do I fulfil my destiny, God's plan for my life. My brothers and sisters in Christ do you not see the self centered mind set in all this. Yes, the Lord has a plan for your life, your destiny. Can anything be plainer? The apostle did not make this hard or mysterious. Plainly stated; mammon is not godliness. The apostle Paul taught the the same doctrine that our Lord taught on godliness. If Christians would follow Gods' command on withdrawing thyself from those who preach this mammon gospel, many churches would close down! The false profits who make $merchandise$ of their flock would be out of business. That's a good thing. Let us take a look at some wholesome words of our Lord. Then Jesus beholding him loved him, and said unto him, One thing thou lackest: go thy way, sell whatever thou hast, and give to the poor, and thou shalt have treasure in heaven: and come take up the cross and follow me. Mark 10:21 The cross is the crucifiction of our flesh. Without this, there can be no resurrected life. We must die to self before we can live to God in the Spirit. I am crucified with Christ: nevertheless I live; yet not I but Christ liveth in me: and the life I live now in the flesh I live by the faith of the Son of God, who loved me, and gave himself for me. Gal.2:20 The lifestyle of the rich and famous is not for serious believers. The mammon gospel preachers thrive on the ignorance and carnality in the church. Their doctrine is a mixture of truth and lies. This is exactly what the devil did in the garden of Eden. Was not Abraham rich, Job and many others ? Do we not inherit the blessings of Abraham which includes financial wealth ? There was a famine in Jerusalem. Paul sought to bring relief from the churches. Here he commends the churches in Macedonia that in their great financial poverty that they sacrificed what little they had for others. Here is the lesson: Love little, give little. Love much, give much. So what will it be saints; His riches which cannot be calculated in money; or the mammonized gospel of greed, deception and death. Will you die in your sins proclaiming this lie? I pray not. Those who are born rich and others who made their fortune , can be a blessing from God. The curse comes when we are in love with money . The rich young ruler could not give up his possessions and follow the Lord, because he was very rich. His mammonized lifestyle was to much to part with. He wanted to know what he lacked in his walk with God. He kept the commandments from his youth up, but sensed something was missing. The Lord Jesus loved him and told him what to do. Alas, it was just to much to give it all up, pick up the cross and follow Jesus. One day we will stand before the Lord. What will your foundation be? You can comfort yourself with mammon in this world or give it up for a good foundation in eternity . May the LORD help all of us to seek His Kingdom that you may lay hold of eternal life, and trust Him to supply our everyday needs. He is worthy of honour, respect, obedience. Those things, which ye have both learned, and received, and heard, and seen in me, do: and the God of peace shall be with you. But I rejoiced in the Lord greatly, that now at the last your care of me hath flourished again; wherein ye were also careful, but ye lacked opportunity. Not that I speak in respect of want: for I have learned, in whatsoever state I am therewith to be content. I know how to be abased, and I know how to abound : every where and in all things I am instructed both to be full and to be hungry, both to abound and to suffer need. I can do all things through Christ which strenghtheneth me.... Not that I desire a gift: but I desire fruit that may abound to your account.... But my God shall supply all your need according to His riches in glory by Christ Jesus. Now unto God and our Father be glory for ever and ever. Amen. What is the main theme of scripture? Is it to get rich? I want you to think on something; The riches of His glorious wealth.